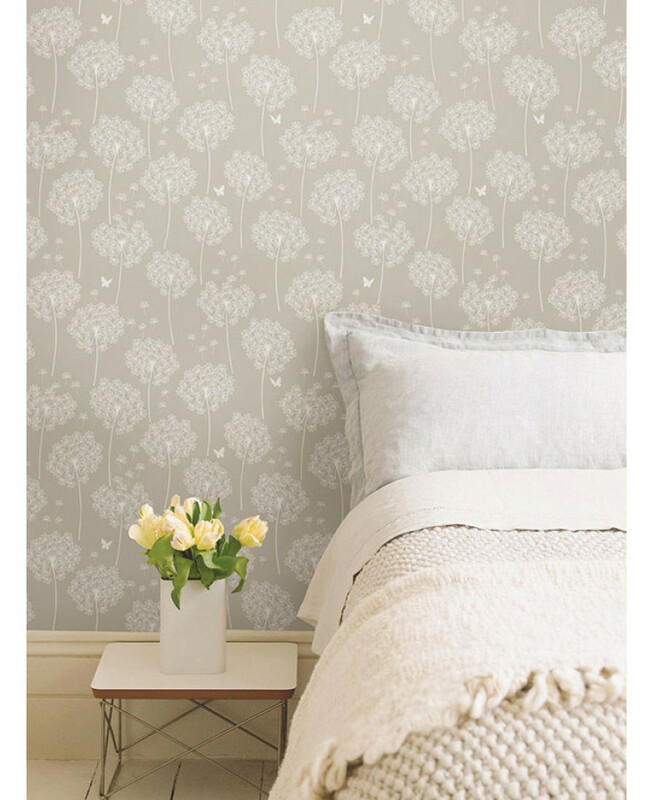 Transform a room with ease with this simple to use Dandelion peel and stick wallpaper. 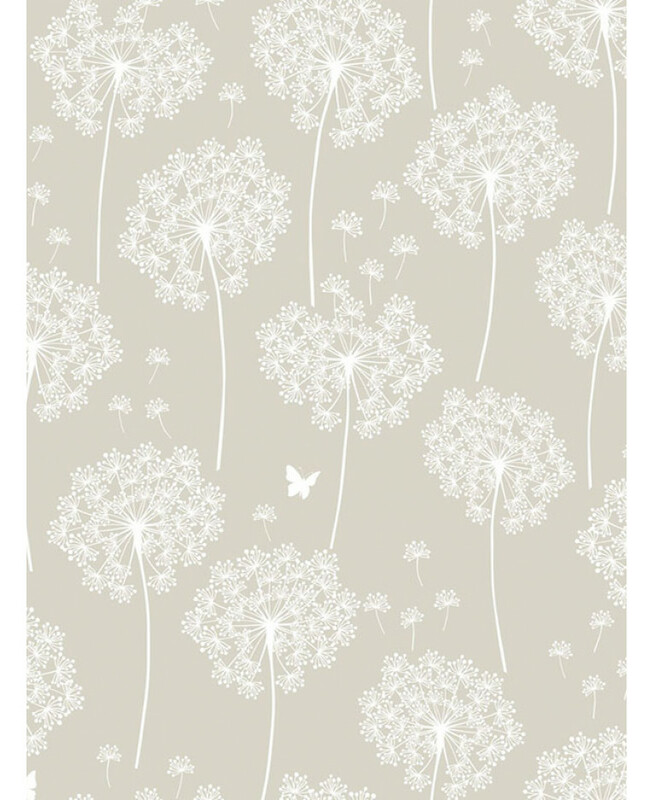 The stunning design features a beautiful dandelion and butterfly pattern in white on a soft taupe background. 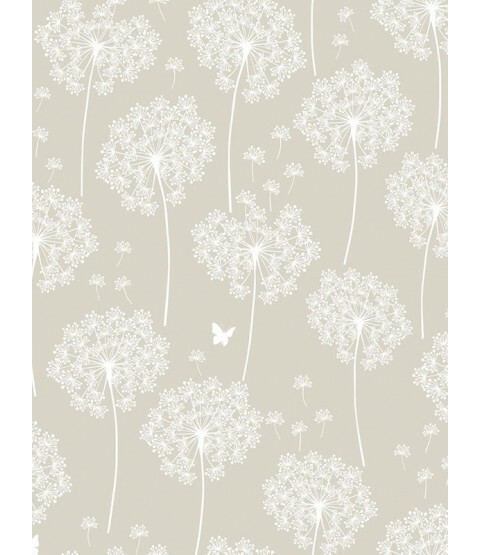 Ideal for feature walls, simply peel the backing off and apply the high quality wallpaper to any flat surface. If you change your mind the paper can be removed and repositioned without leaving any sticky residue behind.